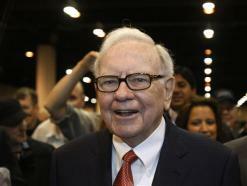 The Omaha billionaire pulled the plug on hedge funds buying a feed from his Business Wire. Buffett has expressed distaste for high-speed trading, too. Though it can be parasitic, there are also benefits. Nostalgia is best reserved for Cherry Coke, not open-outcry stock dealing. Business Wire said on Feb. 20 after consultation with Berkshire Hathaway Chairman Warren Buffett that it would no longer allow high-frequency trading firms to license direct feeds of its news service. Business Wire is a subsidiary of Berkshire Hathaway.